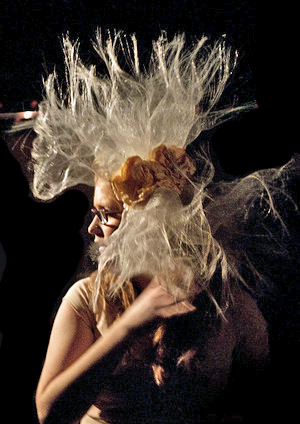 A large designer hair fascinator by milliner Emma Fielden. The vintage style roses are an apricot colour with Ivory distressed crin. Fixed to an elastic hair band that goes around your head to hold it firm. This is a wow for any Ladies Day event!